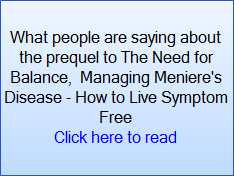 The essential sequel to the book Managing Meniere's Disease - How to Live Symptom Free is finally finished and available. Two and half years overdue as a result of ongoing research, The Need for Balance is now available for you to download immediately . 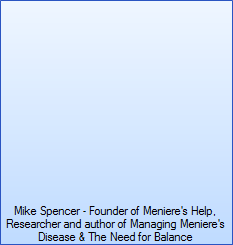 'Managing Meniere's' introduces the various root causes but focuses mainly on identifying triggers and controlling your symptoms and for over three years that is exactly what readers have been doing with great success. You can read their testimonials by clicking the link to the left of your screen. The Need for Balance is a much deeper look at root causes and what you can do about them. Everything is backed up by medical and scientific studies, data and statistics but most importantly, the experiences of real Meniere's sufferers. Understand what you are dealing with and know that YOU CAN live free of this debilitating condition. Everything you need to know is in this 300 page book, The Need for Balance. You may be surprised or even shocked at some of the links to Meniere's but you will see there is always action you can take to correct the balance inside your body. If you have been told there is no known cause of Meniere's and no known cure, you will soon learn otherwise in this book. You will learn just why doctors cannot state a 'definitive cause' or 'definitive cure' but more importantly you will learn why and how you can find your own root cause and deal with it. Over 7 years of research and 3 years to write, this book is already being well received. I hope that you're well. I wanted to send you an update since I got your books - which I devoured pretty quickly! It's so exciting - I'm trying not to get too carried away but it's like someone (you actually!) handed my life back to me! I'd like to express my huge thanks for what you've done for me and for others. Your advice not only helps us to get over Menières; it even helps us to be healthier than we've ever been; and that's a priceless gift! "Michael, I have had great success. I have been symptom free for nearly four months thanks to your books. Thank you for your information and guidance." "Sorry for the late reply, but I could not stop reading your new book! It is so informative! Thank you for your time, for your interest, for gathering all this information, for helping so many!" 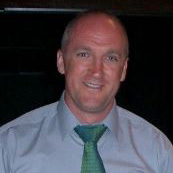 "Thanks so much for taking time to share your thoughts. I really, really appreciate it! I've already read both books – they’re awesome! I especially found The Need For Balance interesting and useful as I look into possible underlying causes. Great research, easy to understand….loved it." "I find your new book very explanatory, well arranged and straightforward. A lot of information with proven documentation from doctors and sufferers' statements. Have been taking notes while reading and I go back to reread again and again. Thank you!!!" "Keep up the good work my Friend. You speak the truth which is rare, but extremely helpful!" "I am currently sitting in the South of France (no stress) having read your latest book (thank you) and am totally motivated again to start focusing when I get home. You are a very dedicated individual." "Thanks so much for sending out your new book. I have already read through a great deal of it and what a wonderful resource it is. I want to thank you again for all that you do for all of us that struggle with this frustrating disease." "Thank you Mike. Reading your first book, Managing Meniere's changed my life so much. I have not suffered from vertigo or dizziness for over 2 years. The tinnitus has 98% disappeared and I have so much energy. The one thing that didn't change completely for me was the deafness. It improved but not perfect. Now I have read your new book The Need for Balance (what an amazing resource you have made available!!) I feel I have found the final piece of the jigsaw puzzle. It all makes so much sense. Thanks again for all that you do for us. You certainly are a straight talker, which I find very refreshing." "Thank you for all of your years of research and sharing with others. Amazing! "Thanks for the books they have been an amazing read especially the chapters on endocrine and the immune system as I feel this is most relevant. I know I need to focus on making my immune system strong." Click the buy now button and get started to today.